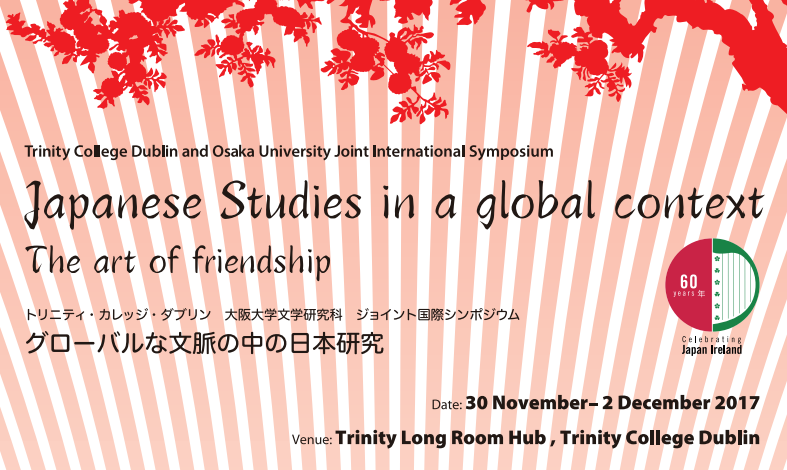 International Japanese Studies Symposium: Japanese Studies in a global context ‘The art of friendship’ that is taking place from 30th November – 2nd December 2017 in Dublin, seeks to open up the field of Japanese arts, humanities and social sciences research within a comparative, international perspective. 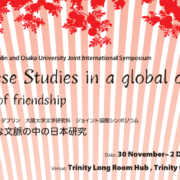 Co-organised by Osaka University and Trinity College Dublin, it explores key aspects of contemporary Japanese Studies from the late Meiji period to the present day, and seeks to foster closer relationships between Japanese and Irish researchers of Japan. 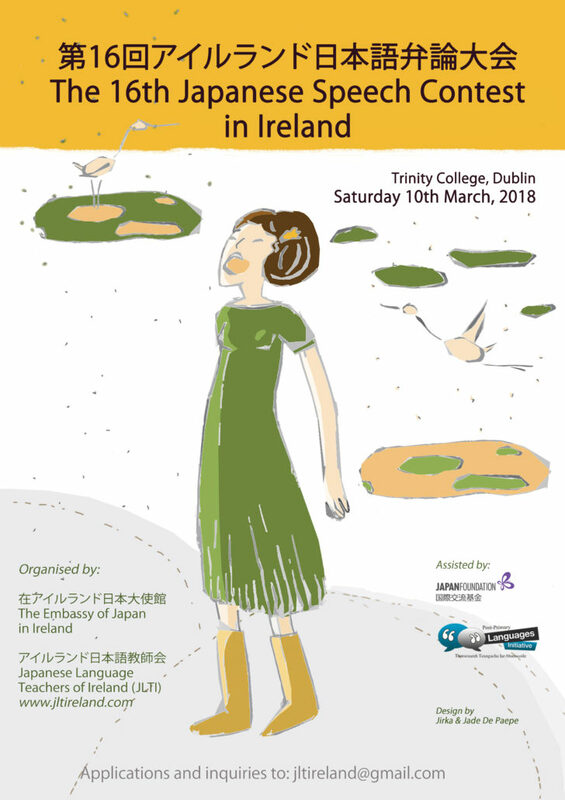 Featuring guest speakers from the Graduate School of Letters at Osaka University along with scholars from University College Cork, University College Dublin, the University of Limerick, Dublin City University and Trinity College, this symposium will be launched with a keynote presentation by artist, translator and scholar Peter MacMillan. This event is free of charge and open to the public. All talks will take place in the Neill Theatre, Trinity Long Room Hub. 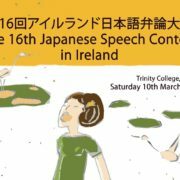 This symposium is part of a series of activities taking place in Trinity College in 2017, marking the 60th anniversary of Japan-Ireland diplomatic relations. The full symposium programme is available here.